Salsa is more than a mix of Caribbean rhythms! It is more complex than Mambo or the Cuban Son, which people many danced in the 60s in the Latin American area "El Barrio" in New York. The inhabitants of this area, originally from the Caribbean had started mixing different styles of music and dances from their homeland. Thats how the salsa got popular in America and later in the rest of the world. Salsa is an exciting blend of extreme music. The new types of salsa that appear have been salsa-rap, techno, merengue and reggaeton. Reggaeton is a passionate Latin-American music mix of reggae, Jamaican dance, American hip-hop and Bachata, which originated in the Caribbean. After it became very popular in Puerto Rico, reggaeton has also extended in discos and clubs in the United States and Europe. Reggaeton is the perfect dance for parties, sultry summer nights and fans of Latin American music. The lyrics of reggaeton are mostly in Spanish. The lyrics of the Cuban reggaeton are often about Cuban politics and society. 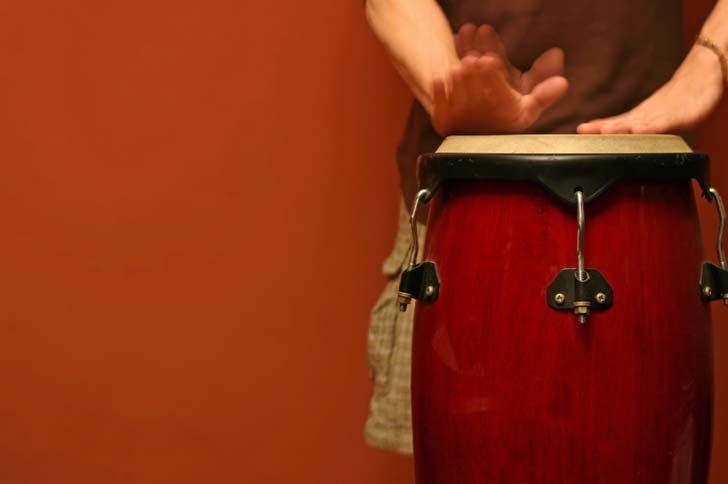 The instruments used for reggeaton are simple, but have an delicious exotic sound! Why salsa lessons in Cuba? For salsa and reggaeton lovers Havana is the place to be. Everywhere in Havana you hear infectious music from early in the morning until late at night. Almost every restaurant and bar has its own salsa or reggaeton band, whose quality is often astonishing. Salsa music seems to be in the blood of the Cubans. Like the dance. Almost any Cuban older than 3 years dance the salsa: smooth and with the greatest ease. And obviously with a lot of fun. Where can I get salsa lessons? If you stay in a casa particular ask the owner of your casa and he/she can help you out. You do not need expensive lessons any Cuban can learn you dancing a salsa. Go with the flow and put on your dancing shoes. When you go out at night to, for example, the Casa De La Musica ... no worries, enough guys and girls who will teach you with pleasure.